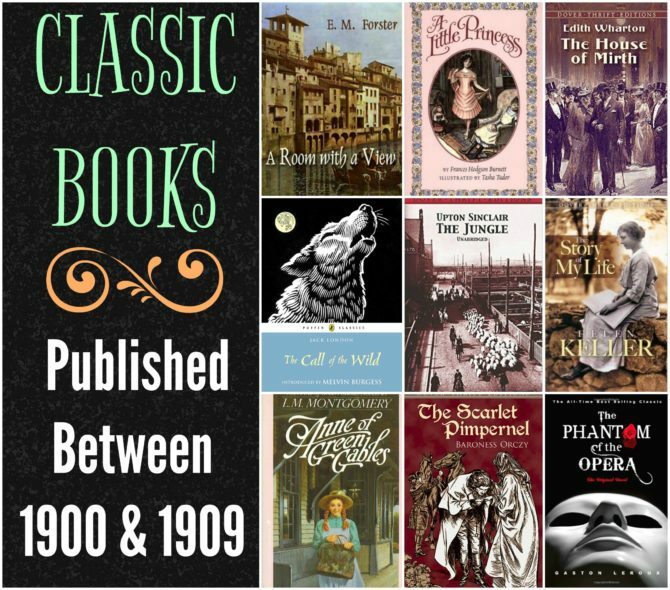 2017 Reading Challenge: A book written between 1900 and 1909. I’m only two months into this year’s reading challenge, but it’s already been a very eye-opening and perspective-shifting experience! Since publication dates are the driving force behind my monthly book selections, I’m paying more attention to when books are written. I expected this to happen with my challenge books, but this heightened awareness has transferred to other titles I’ve been reading too. 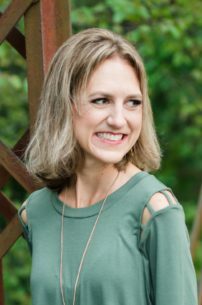 The emphasis on time has me thinking a lot about what was going on in the world at the time of a book’s writing, and how those events may or may not be reflected in the book itself. Many books, especially within the children’s literature and fantasy genres, seem fairly removed from their time period, while other titles—especially nonficiton ones—are very reflective of the era in which they were written. This is obviously something I’ve always known, but never really thought much about. It’s been fun to think how each book might be different if it were were written in a different decade or even a different century. As anticipated, this challenge has also prompted me to do a bit of background research relating to historical events and literary movements. This month’s category was A book written between 1900 and 1909, so I’ve been reading up on what was going on during that time. The turn of the century marked the end of the Victorian era and the beginning of the Modern Age. It was a time of great change as the world was becoming more technologically advanced, government systems were evolving, and the world began moving towards the first World War. Literature in this decade was defined by a subtle shifting away from the realism and naturalism that dominated the late nineteenth century. Technological advances allowed for cheaper production of books, resulting in a rise in the production of “popular literature” which began to be distinguished from “high literature.” Many works of detective and science fiction were considered trivial literature and largely ignored by mainstream literary critics. 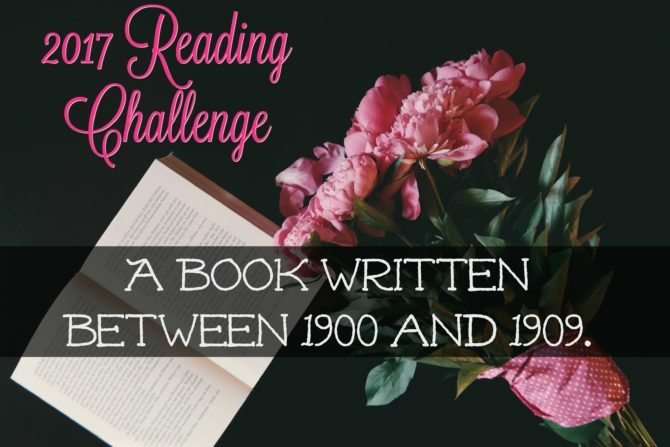 I was surprised by how many familiar titles were published during this decade, offering me many books to choose from for this month’s challenge category. I ultimately settled on a book that, as a great mystery lover, I’d surprisingly never read! Originally serialized in The Strand Magazine from August 1901 to April 1902, The Hound of the Baskervilles is the third novel featuring Sherlock Holmes. (Before reading this book, I hadn’t realized that there are only four Sherlock Holmes novels; his other stories all take place in a short story format). The story begins when Dr. James Mortimer visits Sherlock Holmes and asks him to investigate the death of his friend, Sir Charles Baskerville. The Baskerville family had supposedly been under a centuries-old curse, dating back to Hugo Baskerville who is said to have offered his soul to the devil, only to be killed by a giant hound. Many believe that the beast still haunts the moors surrounding the Baskerville estate, and Dr. Mortimer has reason to believe that this hound might be responsible for his friend’s death. Intrigued by the case, Holmes and his friend Dr. Watson agree to help solve the murder while also protecting the new Baskerville heir. Not having previously read any Sherlock Holmes, I was unsure of what to expect with this novel. What I found was an intriguing mystery, a cast of colorful and expertly drawn characters, a palpably chilly setting, and much more suspense than one might expect from a novel completely lacking in gore or on-stage violence. Though written more than a century ago, the novel is very readable and every bit the page-turner. I’ve always been a fan of detective stories, and it was fun to read one of the earlier works within the genre. 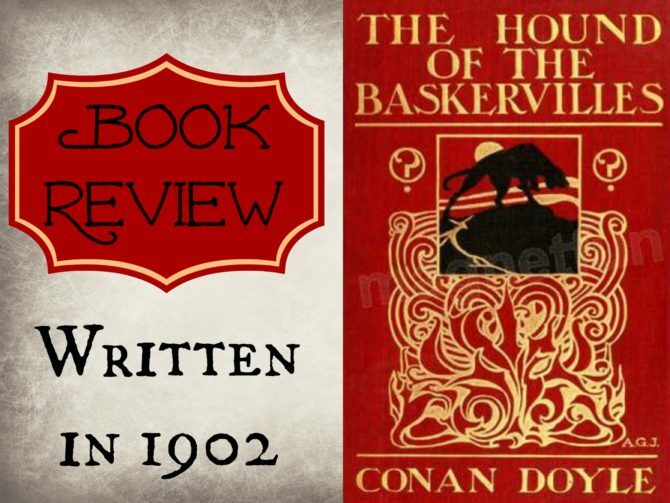 I could see elements in The Hound of the Baskervilles that set the framework for mysteries of today, but I was also struck by some very notable differences. The novel features none of the giant plot twists or tricky narrative styles so prevalent in present-day thrillers, nor does Doyle feel the need to include multiple subplots or lurid details. This is a straightforward mystery, and about as innocent as a story about murder can be. 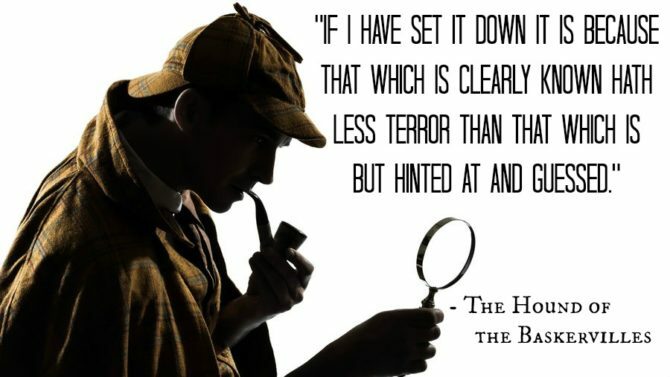 In fact, compared to life in the 21st century, this chilling mystery seems downright puritanical, and reading it had me longing for Sherlock Holmes’ simpler time, when every puzzle had a straightforward solution, detectives could always save the day, and social media wasn’t there to remove the intrigue from every human interaction! What book would you choose to read from this decade? Have you read The Hound of the Baskervilles? What did you think?